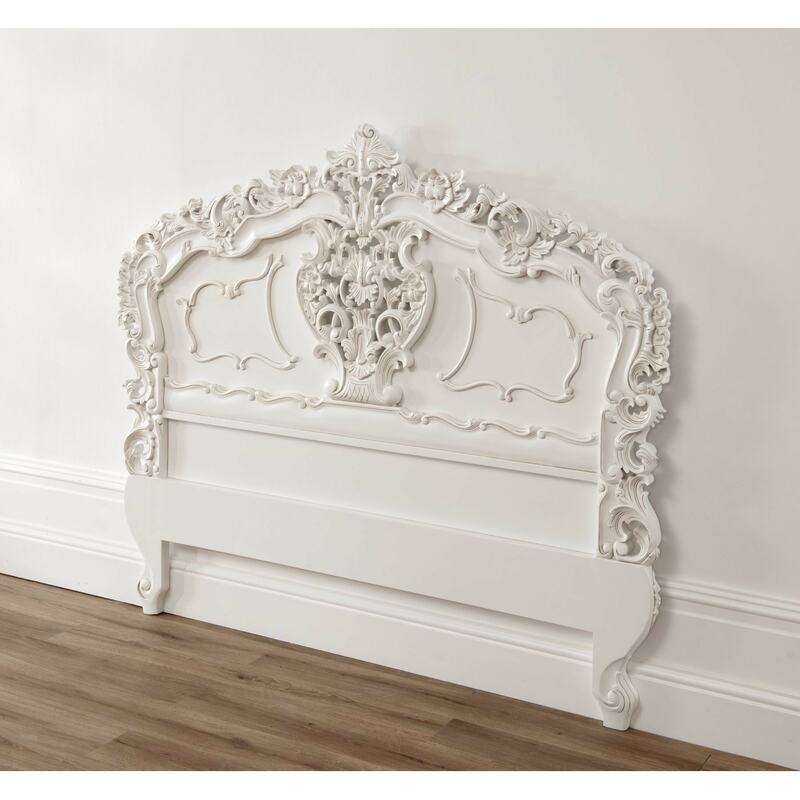 We proudly welcome this marvelous antique French headboard. Hand carved in real mahogany and finished in an antiqued white. A really good alternative to buying a complete bed frame where an existing divan bed needs to be retained. For some extra beauty and style, co-ordinate with our stunning shabby chic furniture. Please note that this item is supplied without fixings. These headboard do not come with fixings so they can be fixed to the wall or the bed base can be used to hold them in place .